Mary Catherine Newkirk Renfroe Mitchell Thomas was born October 25, 1942, in LaGrange, GA to Vivian Irene Daniel and Ira Newkirk. For 76 years and 2 days she was a loving daughter, wife, mother, grandmother, and great grandmother. In this life she worked hard as a Weaver at Bibb City Cotton Mill in Columbus, Georgia 1961-1984, a Cook at Fort Binning, Georgia 1984 -1986, cleaned houses for several years, and was the receptionist, for a time, at a tax office in the 1990’s, to help provide for her children and grandchildren. 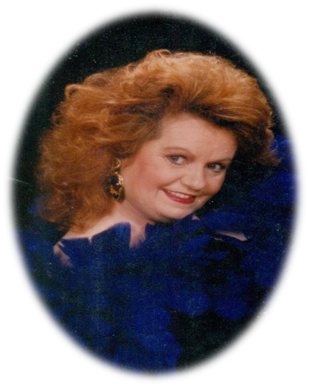 On October 27, 2018, at River Town Center Columbus, GA, at 5:10 pm Mary Catherine passed from this life to the next after years of suffering from Lewie Body Dementia and Parkinson’s disease. She joins her parents as well as her brothers Ira Richard Newkirk and Michael Eugene Harmon, her beloved husband Arlin Junior Mitchell, and three of her cherished children Ricky Lon Renfroe, Dickie Darren Renfroe, and Kimberly Charmin Renfroe. She will be remembered by her loving son Gregory Michael Renfroe, his wife Tonya Kay Renfroe, her grandchildren Megan Lynn Renfroe Howard, Dustin Darren Renfroe, Katherine Marie Renfroe Murphy, Robert James Renfroe, her great grandchildren Austin Edward Howard, Hunter Darren Howard. Alyssa Grace Renfroe, William Daniel Murphy IV, her sister Vivian Ilene Harmon Carlyle, her niece and nephews Scott Carlyle, Jonathan Carlyle, and Erin Carlyle, and her best friend Doris Rebecca Godwin Hattier Epley. May God Bless and Keep Her in His Loving Embrace!